Huge Savings Item! Free Shipping Included! 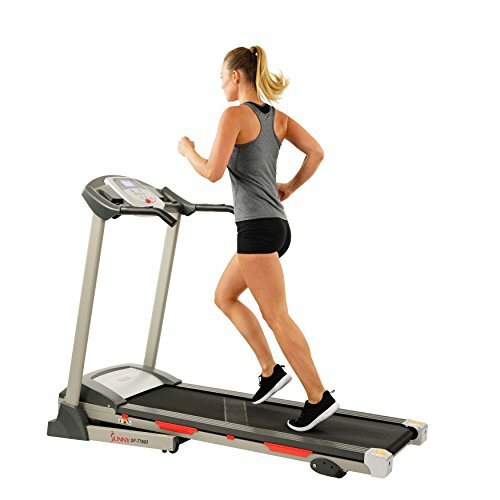 Save 12% on the Sunny Health & Fitness SF-T7603 Electric Treadmill w/ 9 Programs, 3 Manual Incline, Easy Handrail Controls & Preset Button Speeds, Soft Drop System by Sunny Health & Fitness at Sweat NY. MPN: SF-T7603. Hurry! Limited time offer. Offer valid only while supplies last. Sunny Health & Fitness presents our brand new motorized Treadmill. If you have no time to go the gym, or go running outdoors, this is the solution. Max. User weight of 220 lbs; Less impact force on your legs and joints, treadmill cushioning allows you to work out longer with less fatigue versus running outside on hard asphalt.